Tesco's controversial farm brands have proved instrumental to the retailer's resurgence, chief executive Dave Lewis has said, as it announced its strongest half-year results for five years. In today’s second quarter results, the UK’s biggest supermarket reported a 1.1% second quarter growth in sales on a like-for-like basis, with UK sales up by 0.9%. In Asia, Tesco’s like-for-like sales grew 3% over the second quarter. Profit before tax fell by 28.3% year on year for the first half of the year to £71m due to one-off costs, while group operating profit was up 34.4% in constant currency to £515m. Tesco said it is on track to reach its full-year operating profit target of £1.2bn. In a conference call this morning, Lewis said that Tesco had "done what it said it would do" since he took up the reins at the troubled supermarket two years ago. "The results indicate a business moving out of crisis and one that’s feeling confident," he added. As well as growth across like-for-like sales, volumes across all food categories, number of transactions, and both the UK and international business, Lewis said the improvements made to Tesco’s offer meant that all its key customer metrics were improving, against its competitors. Lewis said that "a key reason for this has been the way customers have responded to our farm brands," which provoked a mixed reaction when they were introduced in March. Some commentators suggested the seven brands, which feature the names of fictional farms, were an attempt to con consumers, and in July, the National Farmers’ Union referred the supermarket to trading standards over the names. But Lewis said that 80% of customers had made repeat purchases of the ranges, which were conceived to offer a branded product at a price point more typical of lines in the Everyday Value range, and win back customers from the discounters. Another of the challenges facing Lewis when he arrived at Tesco was the steep decline in sales at its largest stores, caused by a change in shopper behaviour, with a move to smaller, more frequent trips that favoured convenience stores. Lewis has overseen a number of changes to the way space is used in these largest stores, with concessions given to retailers that complement Tesco, such as Arcadia and Holland & Barrett. He said that large stores were now making a positive contribution to the business again. "Some of things we’ve done to repurpose and re-proposition stores has worked, and we’ll continue to do that," he added. 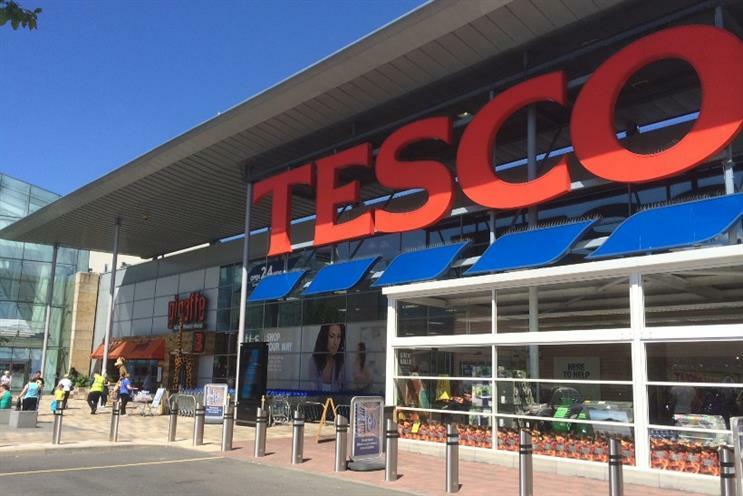 Phil Dorrell, partner at retail consultants Retail Remedy, said: "Tesco's offer has not significantly changed, it has just evolved. Price perception has been helped significantly with the Tesco Farms brands. Media mutterings aside, the customer isn't feeling misled, they are feeling well provided for with a product that meets price and quality needs. "We are entering the golden quarter for grocery and Tesco will be up against a resurgent Morrisons, a wounded but not down Asda and a Sainsburys armed with Argos. Tesco will have room to push further on price if they need to and a rash of offers lined up ready to deploy. Dave Lewis projects confidence and confident he should be."